● Based on the PVC rigid film or PVC/PE, then coated high barrier material PVDC, which increased 5 times compared with single-layer PVC rigid film. 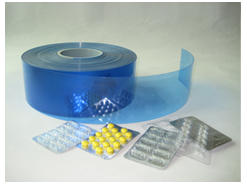 ● PVC/ PVDC films give higher moisture&oxygen barrier between five to ten times than plain PVC film to extend the validity. ● PVDC is the only one packaging material approved by both FDA and EU certification which can directly contact with medicine & food. 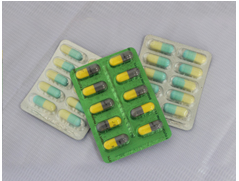 ● Compared with aluminum-foil over wrapping, PVDC can protect tablet individually,save packaging costs and improve production efficiency, however once aluminum over wrap has been opened, all barrier Properties are lost. PVC/PVDC can be used in normal blister packing machines.